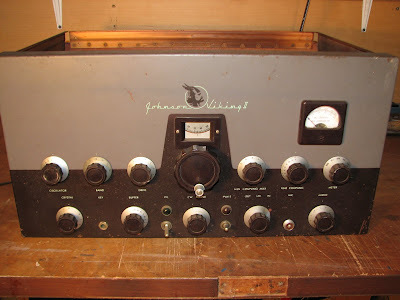 Restoration of a Johnson Viking II -- My first project. After years of surfing the web and admiring pictures of beautifully restored boatanchor classics I now find myself with a Johnson Viking II waiting to be returned to the AM airwaves. 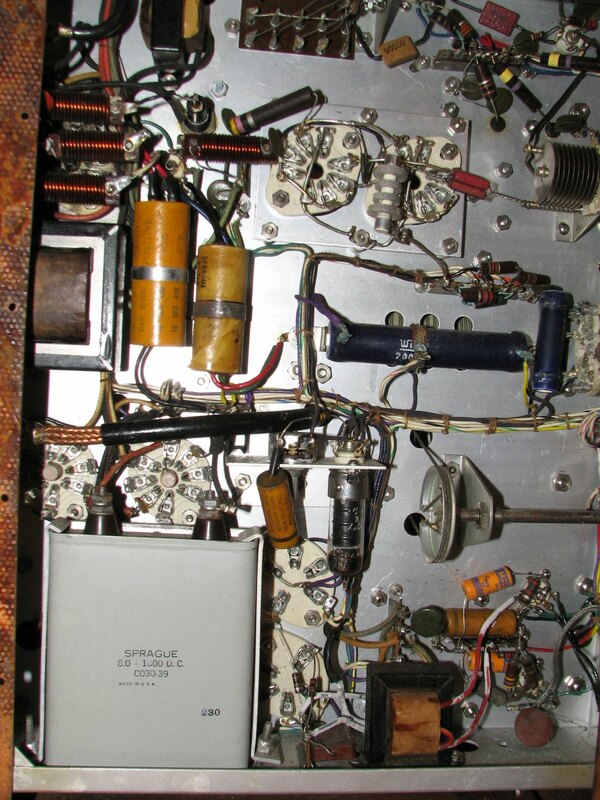 The transmitter appears to be physically complete and unmodified. There are no holes in the chassis or panel and all of the knobs are in place. The only part missing is the perforated metal top. I am not an electrical engineer or a technician. I have never repaired a radio from the component level. I can solder, clean a chassis, install connectors, build antennas and other basic stuff and I read insatiably. But, I have always been only an "appliance operator". I have a working knowledge of electronics. I use a Fluke 87 multi-meter, a Bird wattmeter and a frequency counter and I've have played only casually with an oscilloscope to monitor modulation. I've never worked at the component level with a radio. During my teenage years I was a radio disk jockey for a small-market station and worked under the tutelage of a First-Class broadcast engineer. 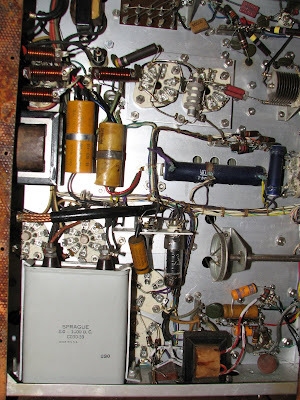 At age 16 I was down at the transmitter shack assisting with a Proof of Performance and learned much about the insides of a Gates BC-1J (1000 watts with 833A's). Just as a sidebar to this story, when the modulation transformer on the Gates transmitter failed, I ran home and robbed the transformer from my BC-610. That got WBLO back on the air, at least for a few days, before my BC-610 transformer also failed. At the end of my teenage years I let a lot of great old radios slip thru my hands, not knowing that one day I'd give just about anything to have them all back. 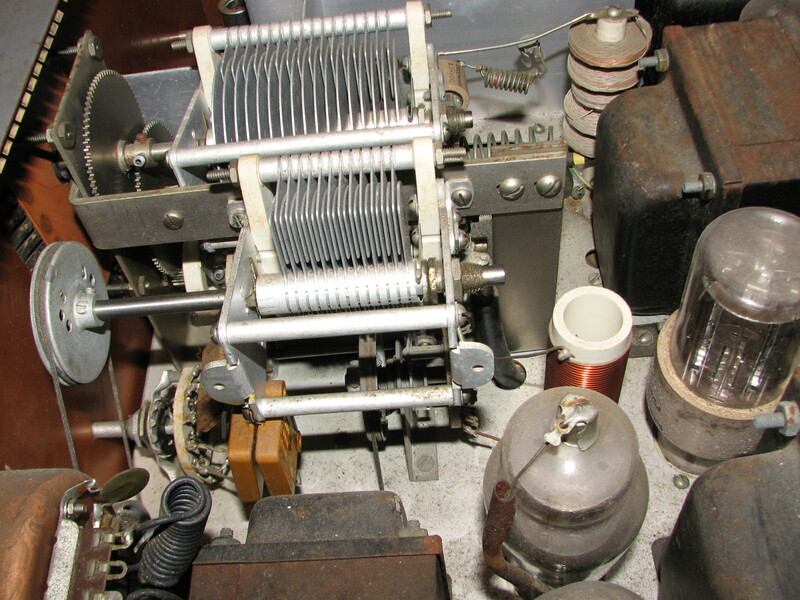 I had an R-390A receiver, A National NC 300, a BC-348 receiver, A BC-610 transmitter, now minus a modulation transformer, a Globe King 500, a Johnson Valiant transmitter and a host of other radios. Dang it, I sure wish I had any one of those back. I was first licensed at 15 as a Novice and then joined Army MARS (That's why I had all the old AM gear). Now at age 54 I have a rekindled interest in the hobby. I listen to the AM guys on 3.885 and occasionally when the band is quiet, I have a few short QSO with 25 watts coming from a Yaseu FT-450. But I dream of a good solid plate modulated AM signal. I know this Viking II is still not going to produce a powerhouse signal on 80 meters but it only cost me $50 at the Orlando, FL hamfest and that's what I have for the moment. It doesn't look too challenging to work on and I think it will be a good "experience rig" to learn some restoration techniques. So, here's where I am at present. 1. I've resisted the urge to plug the rig in - even though I have a Variac - I've read enough to believe trying to heat it up would likely result is an exploded capacitor then I'd have a real mess to clean up. 3. I've made a shopping list of all of the paper/electrolytic capacitors. 4. I've made no efforts yet to clean the chassis or to lubricate the shafts of the various controls. Some are a little stiff. One concern is the 160 meter In/Out control that uses dial cord to operate a ceramic wafer switch. I'm afraid it would not take much to break that cord and don't want to add restringing the dial cord to my list of "must do" items. But assuming that is a success, what is the best advice of chassis cleaning. I don't want to do more harm than good. I was thinking of DeoXIT for the controls and tube sockets. I'd sure appreciate all advice and assistance.